In this section the English guide will show you how your profile looks like. 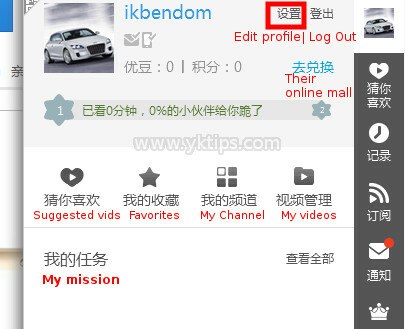 And how to modify your profile at Youku. Edit your profile for better visual. On the image below you will see the profile page. You could edit profile there. 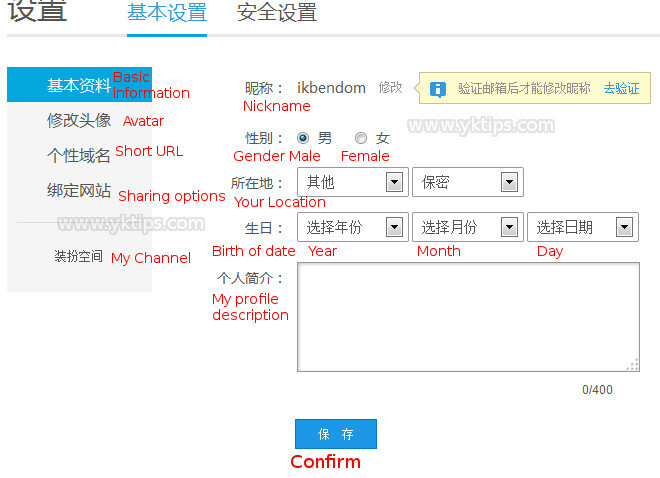 About the location: You could skip that, or you can pick the last option 其他, which means “Other” . Next box you could select a country you live in. To find your country, use Google Translate to translate your country name into Chinese characters and find that in the list. The first four are: 美国 USA; 英国 United Kingdom; 法国 France and 俄罗斯 Russia. 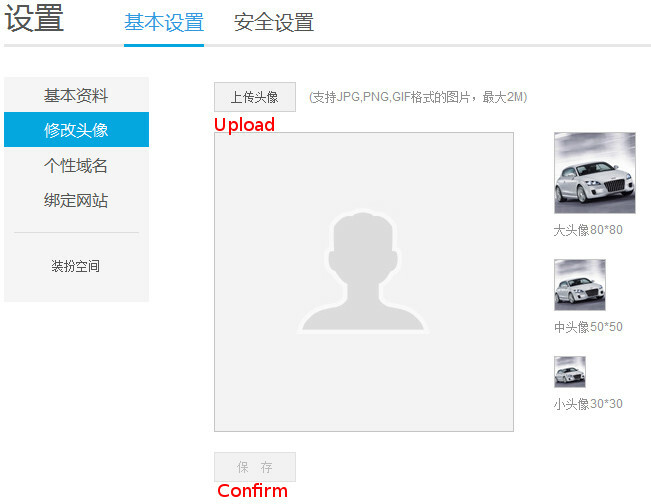 You can choose to change your profile picture, give yourself a shorter link or set up your Chinese Social Network. Here is a short explanation on how to change avatars. Upload a image file by pressing the upload button, see image below. When satisfied, press Confirm! You can continue to manage your videos and channel.